Located in beautiful Village of Seneca – on the the historic river that connects Lake Michigan and the Mississippi. Inside winter storage is available at the Hiddencove Marina. Because we have ample space, we offer secure inside and outside winter storage for our members as well as to boaters from Lake Michigan, Chain of Lakes, and other boaters throughout Illinois. Inside, our storage facilities can protect boats that are up to 18 feet tall on their jacks, 40 feet wide, and up to 200 feet long. If you are too big for us, you’re too big for the Midwest – take your boat down south for the winter. Feel like saving some money on your winter storage? The Hiddencove Marina is less than a day’s trip from Lake Michigan by boat – only about an hour by car. 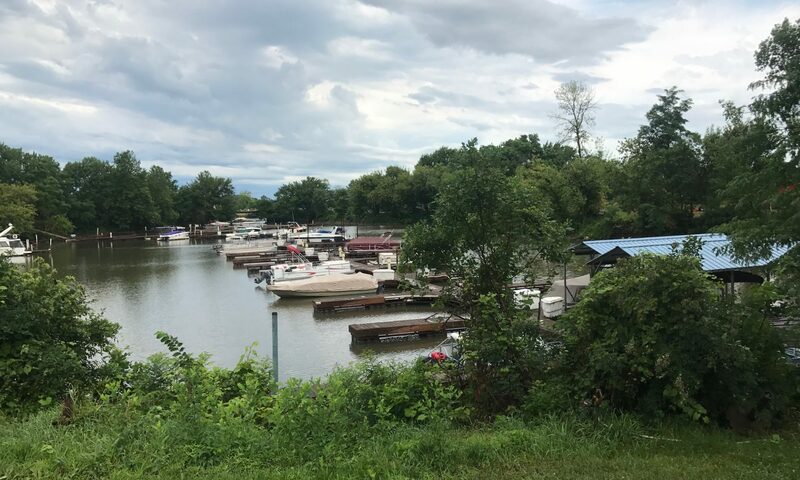 The river trip is beautiful, storage is easy, and you might discover some of the hidden benefits of boating in Seneca. Inside winter storage rates are just $25.00 per foot ($400.00 minimum) for the winter. Winterization, repair service, and customization and also available. Call 630-330-3777 or email us for details.